The news that Governor Brown publicly proposed ending Oregon's RETC program sent shockwaves through our solar industry last week-- and for a good reason. The RETC program has been run responsibly by Oregon's Dept. of Energy, is functioning well, and is no less than crucial to our solar industry. OSEIA seeks to tell RETC's story every time we meet with policymakers. But often those opportunities occur during brief lobby meetings about pending legislation when the legislature is in session. It can be difficult to cover basic solar education topics in those short meetings. To increase the number of policymakers who truly understand solar, OSEIA needs to expand the opportunities it has to meet and build relationships with policymakers, ideally outside the time frame of the hectic legislative session. That's why OSEIA has formed Oregon SolarPAC. By contributing to the campaigns of candidates for elected office, OSEIA will be able to raise discussions about issues important to the solar industry over the summer and fall--months before the legislative session starts in February. That work will also allow OSEIA to build relationships between solar companies and professionals and legislators, which we will carry into legislative sessions. Ultimately, our goal is for the solar industry to build legislative champions to advance the widespread adoption of solar energy in Oregon. 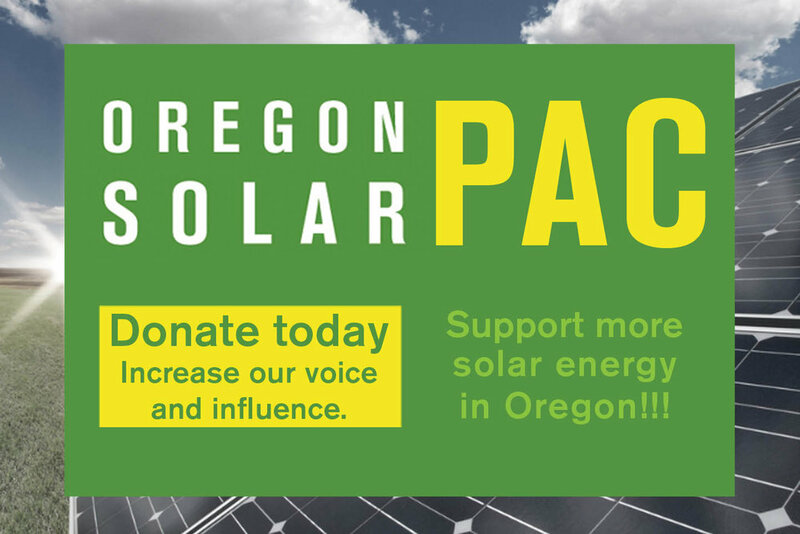 Support our effort to educate policymakers-- contribute to Oregon SolarPAC today. Help us educate the Governor about RETC by telling us how RETC is important to your business. Please email jeff@oseia.org your story by July 10.